TPS RedRace2 V2 Off-Road ignition. 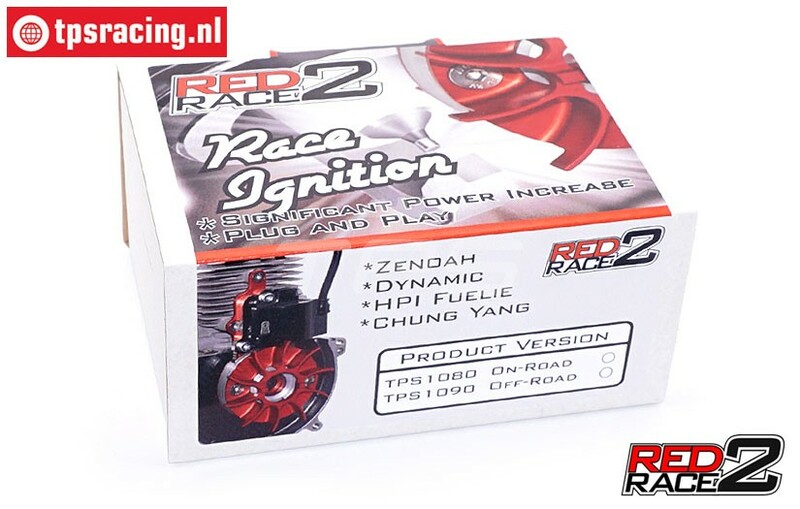 The RedRace2 V2 is a Race ignition that gives 15 to 25% power gains. Plug-and-Play for chasing all motors. New version with modified air guide plates front and rear for optimum cooling. 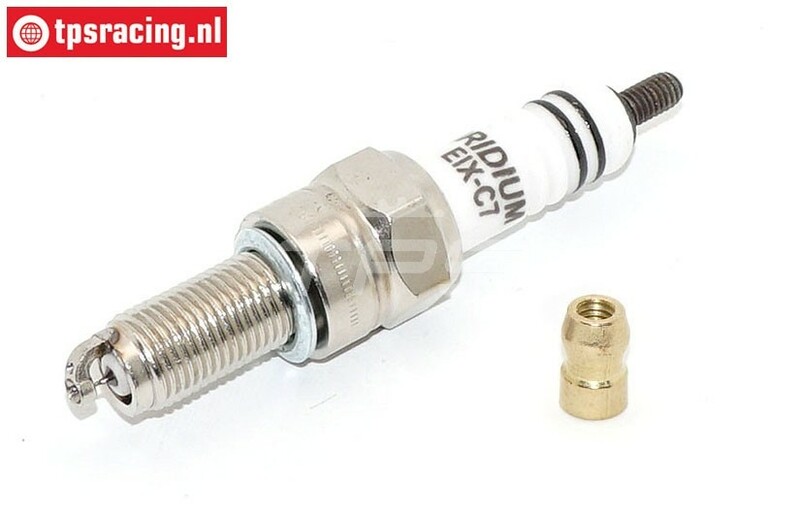 This month includes free Iridium Race Spark plug. The heart of the ignition is made up of 3 high-quality parts. To start, a balanced and machined Ikeda 60 mm rotor, completed with tow high quality CNC machined parts. The three parts are assembled by special connecting forms to make it one stable unit. The specialy shaped, robust fins for off-orad use on the front and back give more than adequate airflow for an efficient cooling. 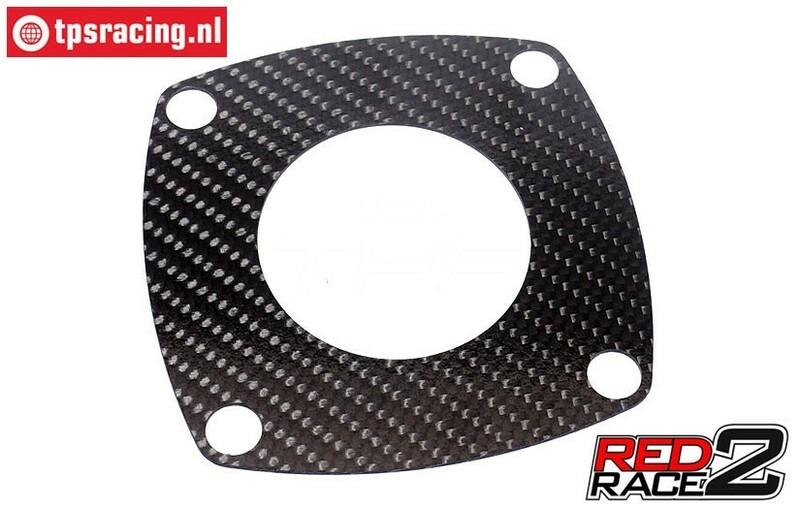 The supplied carbon Air Duct plates also provide a Turbo function, so the air is accelerated and thus ensures an even better cooling. The weight of the three-piece rotor is 200 grams, not much lighter than the original flywheel, but the smaller diameter and enhanced timing is a gain of at least 18%, This is an advantage in the whole RPM range, but of course, a very fast engine even can give more gains. Tests showed that the engine runs unstable, (also at adle), by using a lighter rotor. Therefore we choose te keep the weight close tot the original flywheel. The three-piece rotor is mounted on the crank shaft by using a special stainless steel. 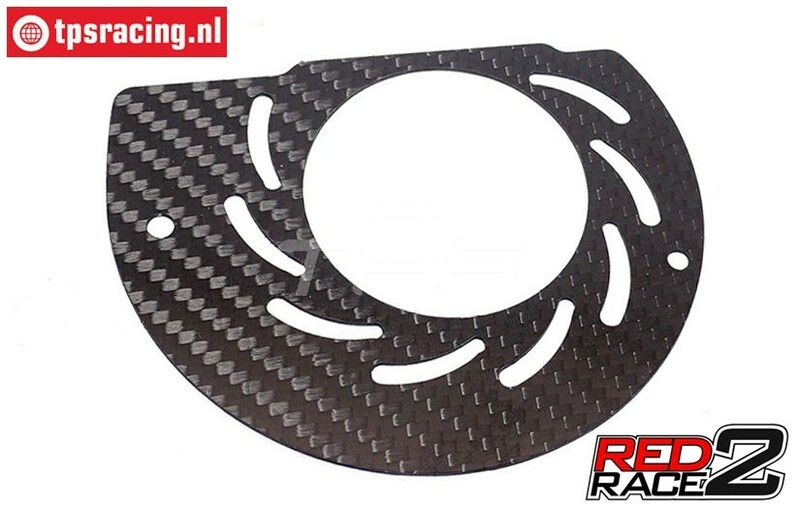 There material has been specifically selected so it can not affect the magnetic field of the rotor. The Ikeda HV coil is mounted on the cylinder with a special CNC machined bracket. 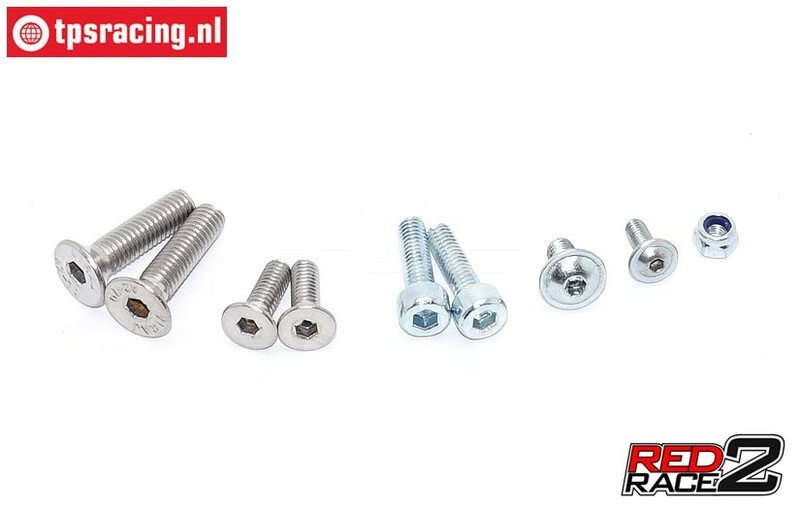 Please use Lock-Tite TPS271 for all screws. Just use the plastic Starter pawl! FG7323/08 Pull starter Zenoah, 1 pc. FG7323/14 Pull starter pawl Zenoah, 1 pc. 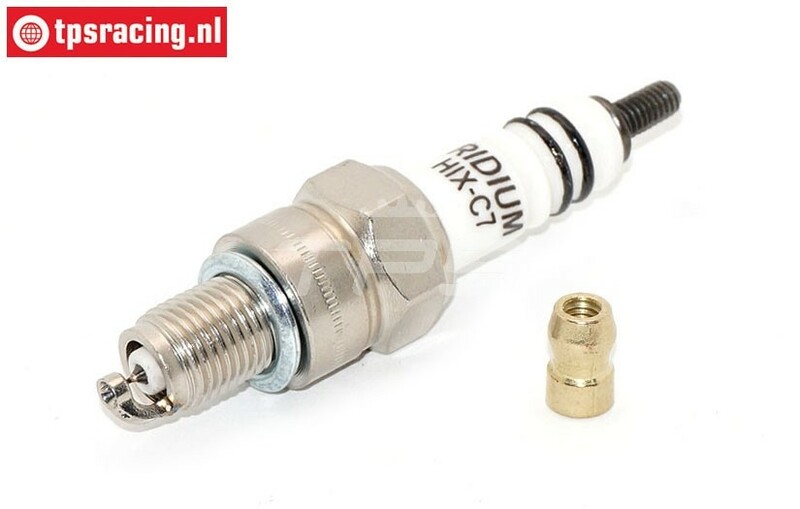 TPS271/10 Threadlocking High Red 10 ml, 1 pc. 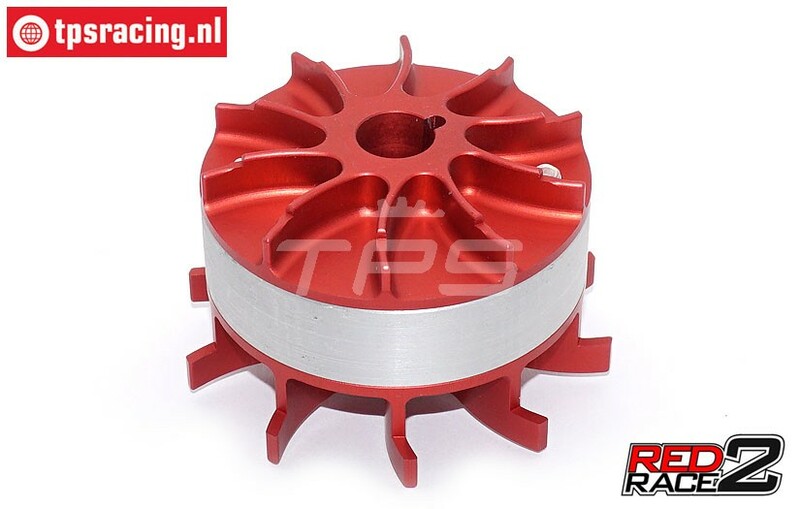 TPS1080/01 TPS® RedRace2 Cooling Fan, 1 pc. 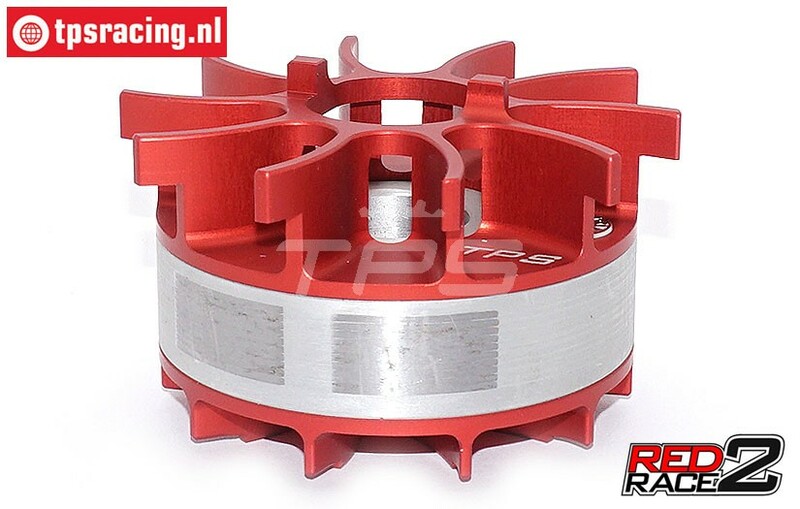 TPS1084/04 TPS® RedRace2 Carrier/Cooling fan rear 0°, 1 pc. 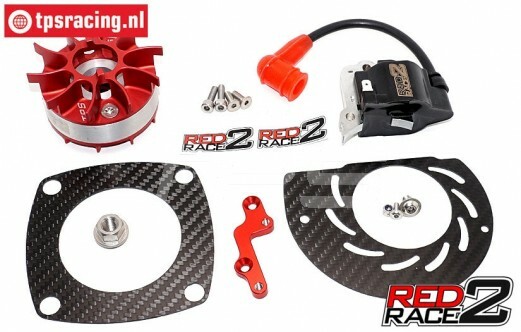 RedRace2 carrier and rear cooling fan combined. Rotor for the TPS RedRace2 ignition. 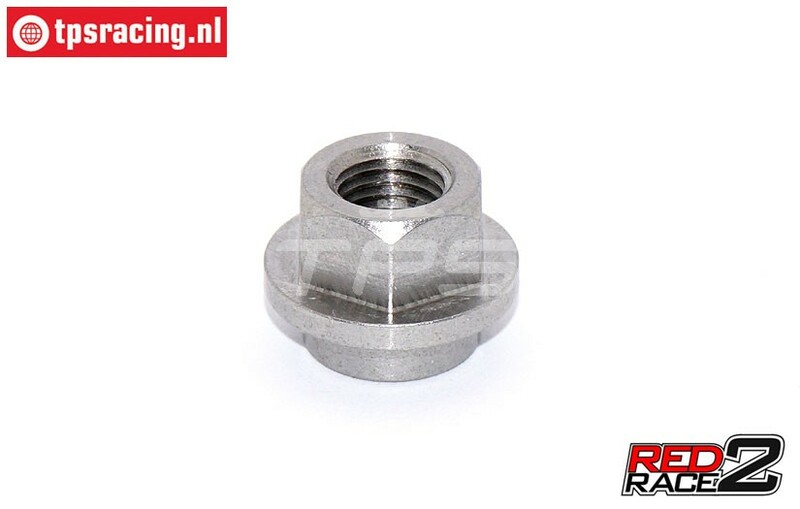 TPS1084/08 TPS® RedRace2 Rotor nut, Stainles Steel, 1 pc. 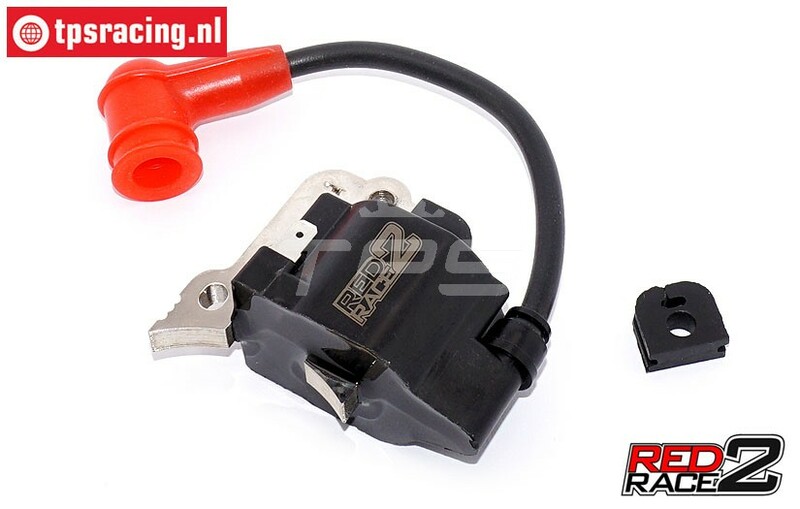 TPS1084/12 TPS® RedRace2 HV Coil, 1 pc. 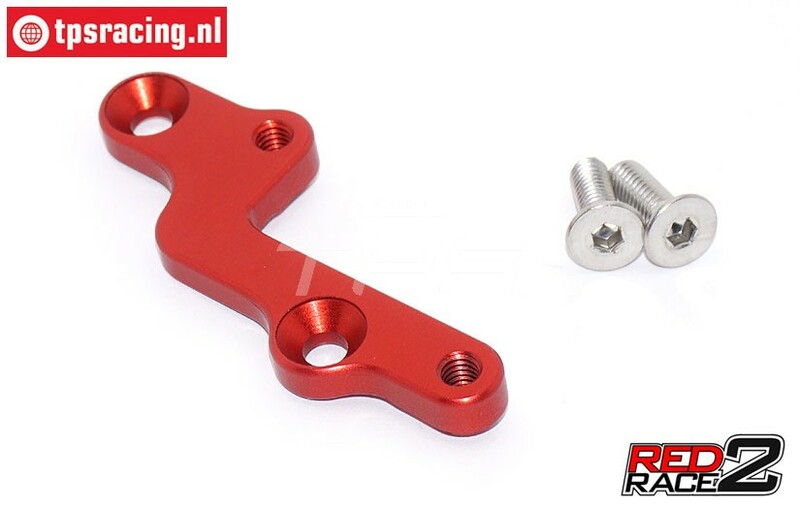 TPS1084/14 TPS® RedRace2 HV Coil bracket, 1 st.
RedRace2 HV Coil mounting bracket. 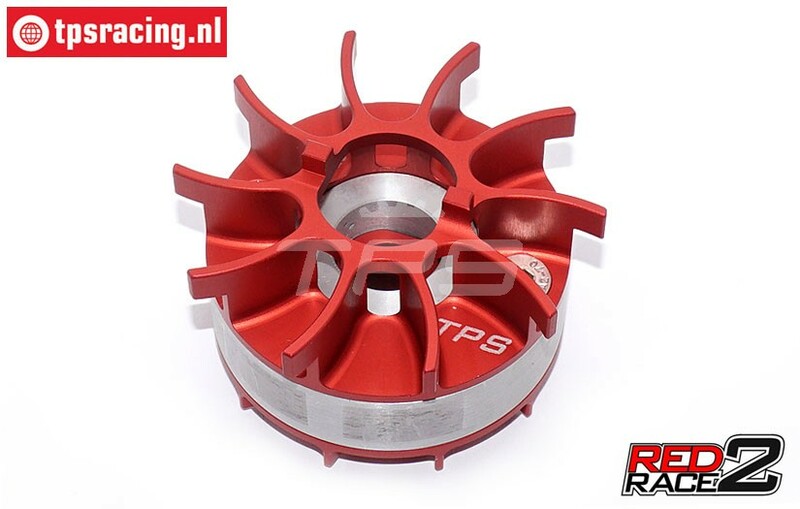 TPS1084/30 TPS® RedRace2 Tool, 1 pc.